The Mission of Saint Michael’s College is to contribute through higher education to the enhancement of the human person and the advancement of human culture in light of the Catholic faith. 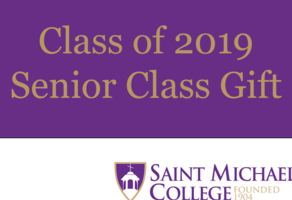 Support the 2019 Senior Class Gift today and help us break 50% participation! 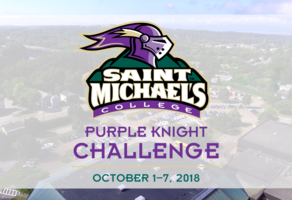 The Purple Knight Challenge is back! Make a gift to your favorite team between October 1st and 7th and help them win a $500 prize! Support your favorite Saint Michael's Athletic team and help them win $500! Make a gift today in honor of the person or people who made your Saint Michael's experience special! 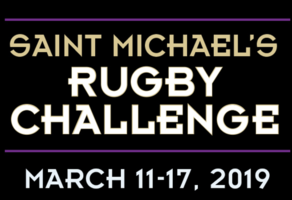 Support the Saint Michale's Men's and Women's Rugby team with a gift today! Here's the Challenge: if we reach 20% participation by June 30, Bob Tobin '64 will give an additional $50,000 for the Saint Michael's Fund. Help us reach 20% participation by June 30 to show our new president what St. Mike's alumni are made of and unlock a $50K match! 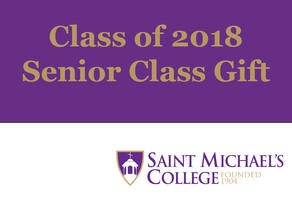 Make your gift of any size today and help the Class of 2018 reach their goal of 50% participation! Show your love for the St. Mike's Men's and and Women's Rugby teams. Your support benefits these two awesome teams and their athletes! Make an impact at Saint Michael's College! Connect with other Purple Knights on GiveCampus!